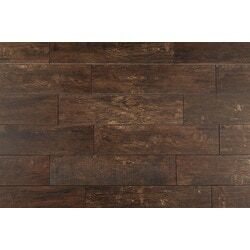 Cabot Porcelain Tile - Redwood Series Mahogany / 6"x24"
The Cabot Redwood glazed porcelain tile series represents a range of stylistic and application possibilities for residences and commercial spaces. This selection of glazed porcelain tile presents highly-rendered wood grain patterning and color variation that captures the warmth of a real wood floor. It also offers the high-performance and versatility for which the best porcelain tile is known. 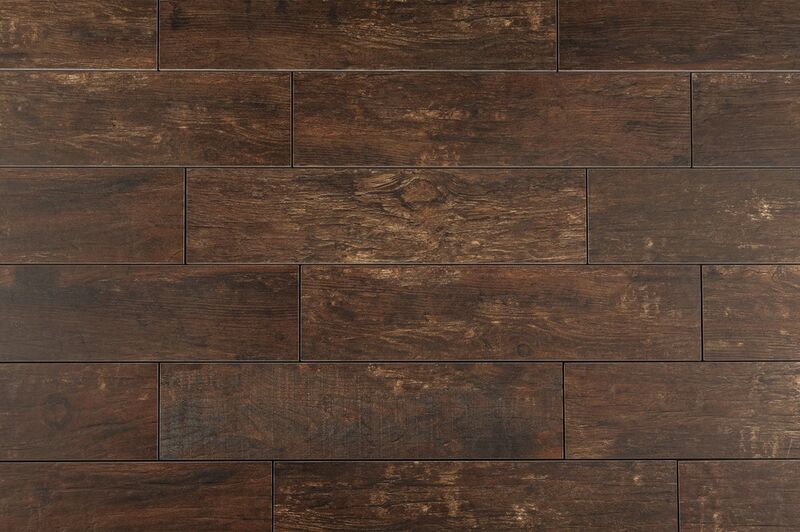 Ceramic Tile - Harbor Wood Series - Chestnut / 6"x24"
Ceramic Tile - Sonoma Series - Sonoma Pine / 6"x24"
Porcelain Tile - Aztec Series - Espresso / 6"x24"
Porcelain Tile - Hampton Wood Series - Chestnut / 6"x24"
I am very happy with the product. No disappointment at all. BUT....the sample you sent me did not match up with the product. It was pretty close, but definitely not the same thing. But again, it is pretty amazing. The first person who saw it thought it was real wood. Can I send you a picture? It would blow you away. Product looks even better in person. The color on the picture is not 100% accurate, but still very nice. Great product, great service. The sample I ordered arrived the following day, express delivery. The tile was true to the sample, however because of the sample size I didnt realize about 1 out of every 16 full size pieces has a single 3" 'knot' print. Kinda odd if you ask me because people either want knots or not (pun intended). Generally, people do not prefer 5% knot coverage. Solution, don't use those pieces if you don't want the knot, save it for cuts. Otherwise, an extremely dense tile. I dropped one from 18" above the floor and it bounced several times without breaking or chipping. This tile is as dense as a porcelain toilet. Hence, cutting is not for the faint of heart. Invest in a high quality saw blade if you don't have one already ~$60.